In a day and age where online experiences and social media seem to get the majority of our engagement, we may be getting less…social. Online, a simple “like” has become the equivalent of a casual hello, and we give them out so easily; while reserving our comments and shares for more sincere, involved forms of online engagement. The nuance of engagement takes on even greater meaning when you consider that consumers have become far more sophisticated in how they allow brands into their digital life. They’ve told us loud and clear that they want to be in control, as evidenced by the high levels of skip rates on digital ads (nearly 60 percent of millennials skip video ads), and the rise of AdBlock technology. For marketers, the quest to create experiences that push beyond the “like” and the skip to produce real engagement both online and “IRL” (in real life) has become a major challenge and the Holy Grail of the customer relationship. Yet smart marketers and brands continue to reach their key audiences online by creating relevant and valuable experiences that buyers choose to engage with rather than skip. And while consumers are equally passionate about controlling their offline experience, marketers can have tremendous influence over what happens there too, through interactions at retail and live events, and through the power of brand engagement. The idea of rewarding customers with cash or gifts to drive sales, generate trial use, or move inventory has been around for decades, and it’s stayed around because it works. But many of these offers only achieve short term gains with little or no impact on long-term brand affinity, customer preference or sales. Thoughtless rewards in the form of a cash discount or rebate or a cheap giveaway don’t give consumers much reason to think about your brand or their experience at all, which leaves big opportunity on the table. As brands struggle to master an integrated URL to IRL experience, marketing leads should build branded value into both online and offline connections to create more personal experiences that elevate the brand-customer relationship. Enter branded currency – a smarter, more strategic way to help engagement come to life in the accounts (and wallets) of customers. This often takes the form of funds delivered on a payment card, but it’s essential for marketers to think beyond the card to deliver it in innovative ways. 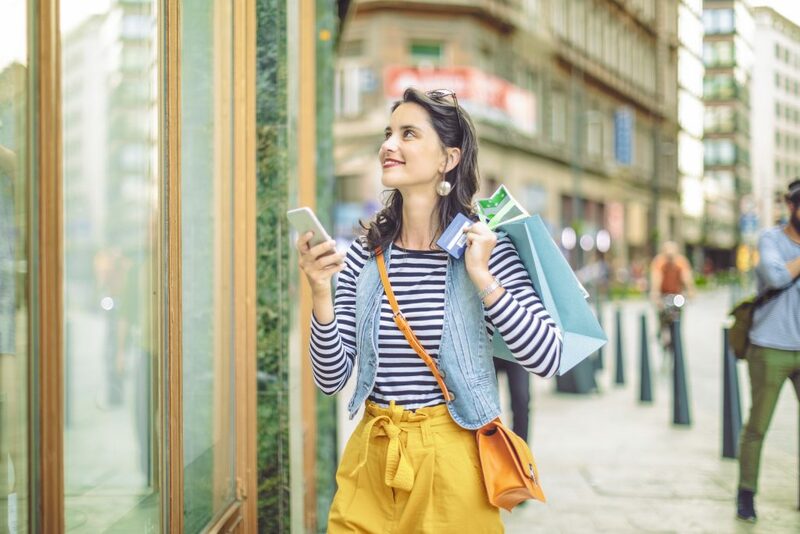 With a little forethought, branded currency and rewards can become the offline gold that connects a brand back to people and experiences long after an in-person interaction. Rethink card branding: Don’t just slap a logo on the card and call it good. Create designs that resonate with specific buyer groups, customer levels, seasons, events or products to make stronger personal connections and tie to in-person experiences. Never give an “empty” card: By presenting the card with funds already loaded (even a small amount works), recipients make a clear connection to both the card value and the fund value. Cards must be “earned:” The psychology behind this is not new. We value things that we feel we’ve earned significantly more than what’s just handed to us. Ensure your customers make the connection between their behaviors and the value they get. Connect cards to future benefits on and offline: Find creative yet simple ways for customers to use the card for their benefit again and again – giving them more reasons to keep it on hand and re-engage with your brand. By incorporating branded currency into unique and engaging in-person activations, marketers have the chance to turn customers into loyal advocates through authentic in-person experiences. Engaged customers are more likely to promote your brand to their network, and sharing their experiences on their own social channels, bringing the engagement full-circle from offline to online. Event marketing is certainly one format where the online experience translates to real-world engagement. Nearly 80 percent of marketers believe that live events are essential to their company’s success, and in-person marketing is still considered the most effective marketing channel, topping content marketing and email marketing. Recently, Prepaid Technologies supported an event management team with an all-encompassing program that tapped branded prepaid card resources to create stronger engagement with event attendees and provided powerful budget and resource management tools for their staff. Among the variety of in-person engagements, event marketing remains a key opportunity to provide interactive and powerful brand experiences. Looking for innovative ways to get your brand into the hands of your target audience? Let’s talk.